These two quotes are some of my absolute favorite. Maybe it is because quotes that have love in them just naturally make sense to have the words kindness and friendliness in them as well. 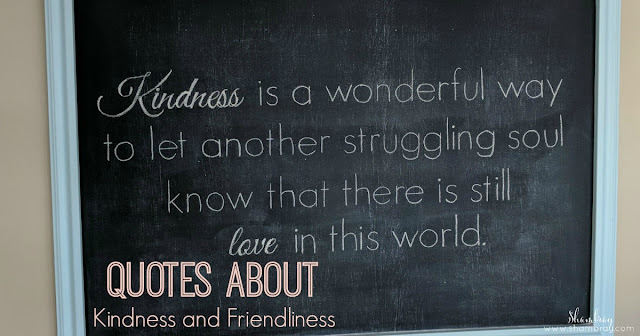 Needless to say it was easy for me to find quotes about kindness and friendliness. However, it wasn't easy to cut it down to only two! The quote above is such a perfect reminder of the wonderful world we live in. YES there are terrible things in this world. Some of them are caused by other human beings, but some of them are caused by natural things. Kindness is always a great way to help others feel loved, but also to help extinguish fear. I plan to help those around me by being just a little more kind. 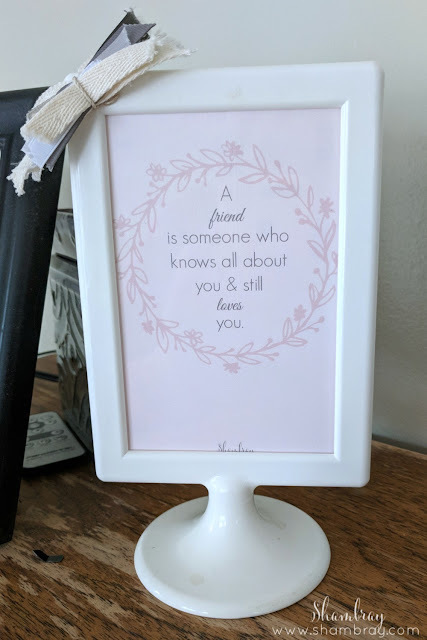 Click picture above to get a free printable! This one is the best. Seriously though...how many of you have friends that have seen you at your worst? I do! I was actually just texting a friend the other day and she text back that she loved me. I remember when this friend came into my life. It was during my life's darkest days (at least to date). Yet even with a "baby" friendship she has stuck by me and grew that "baby" friendship into something amazing. I actually have so many friends that came into my life during this time and because of how they stuck by me through thick and thin our friendships are ones that I will cherish a lifetime.